The Imperial Sand Dunes are the biggest of their sort in California. 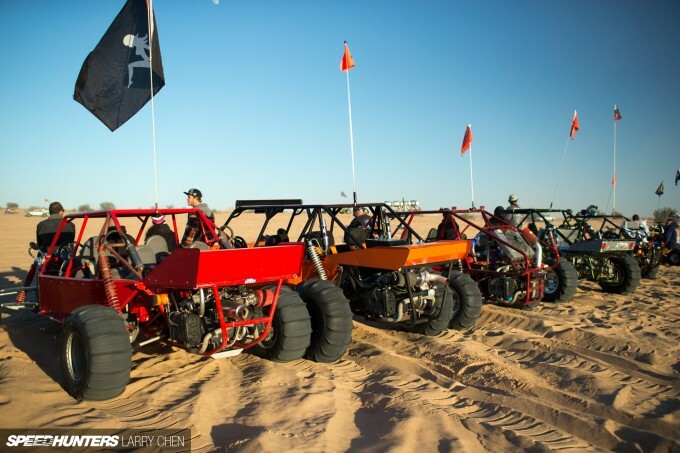 It’s recreationally used by thousands of people who wish to enjoy their UTVs, sand rails, and other OHVs, and for a small fee, anyone can drive their vehicles on the dunes. 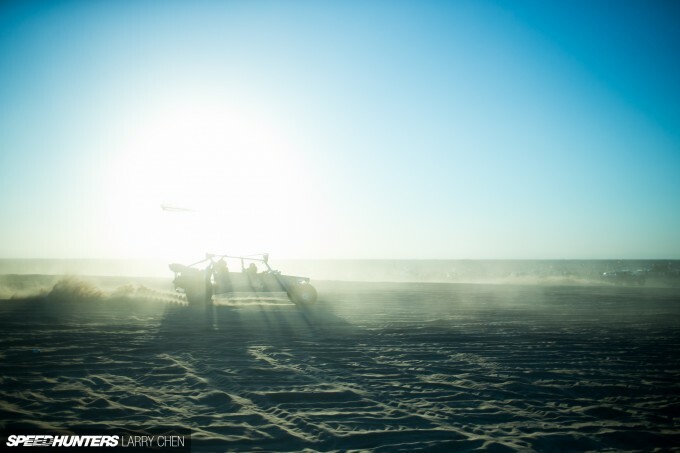 I’m Louis Yio and I work with Larry, and on the first day of 2015 we headed out to Glamis to shoot a very unique V8-powered Volkswagen Beetle that has been repurposed for offroad excursions. Upon arrival, we did not expect to find as many people and cars as we did, but given it was New Year’s Day the turnout was pretty insane to say the least. As we looked around to find Mr. V8 Beetle, we quickly found out that he was sadly a no-show. After realizing that we had just driven four hours to the edge of California for nothing, Larry and I tried to make the best of the situation. With the sun setting, we had to think fast. 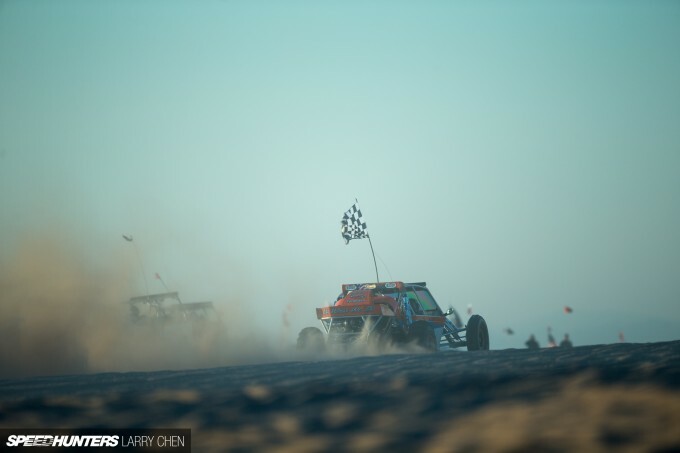 After talking to some people, it was mentioned that there were drag races happening in a certain area of the sand dunes. 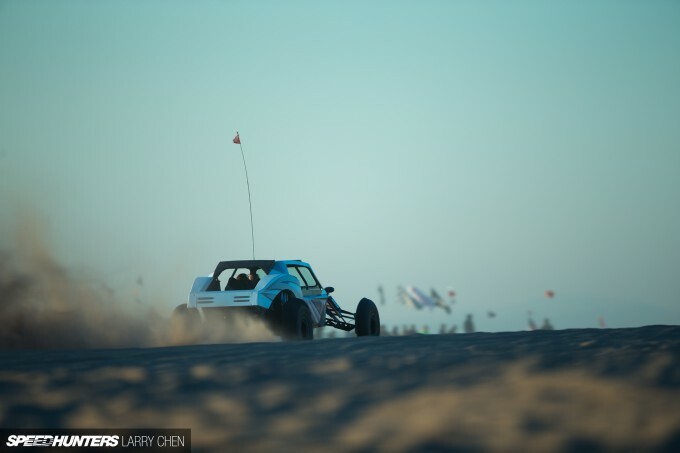 I’d never heard of drag racing in the sand before, but was intrigued by the idea of it. So we took off to hunt down the sand draggers. 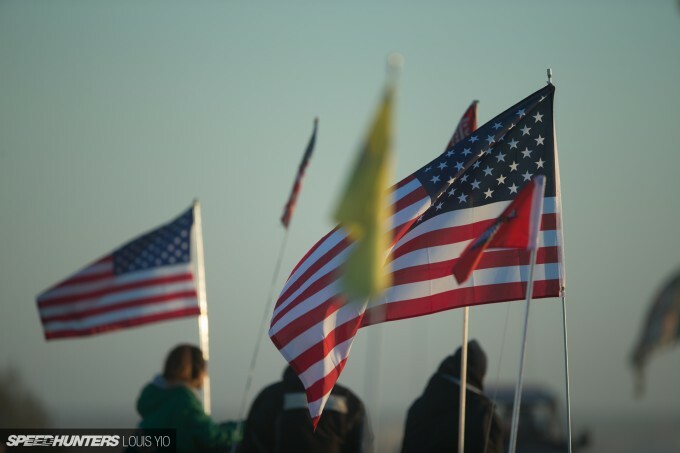 We arrived at the spot to find thousands of people lined up on two sides of the drag area, which was approximately a quarter-mile long and about 150 meters wide. 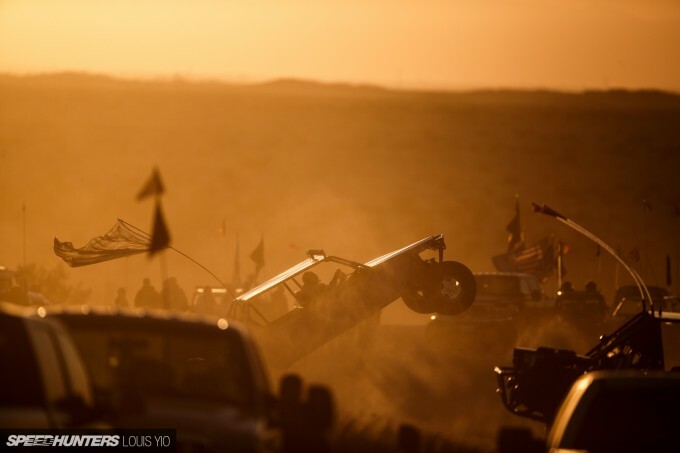 It was pretty well organized considering that it wasn’t a sanctioned racing event in the slightest. 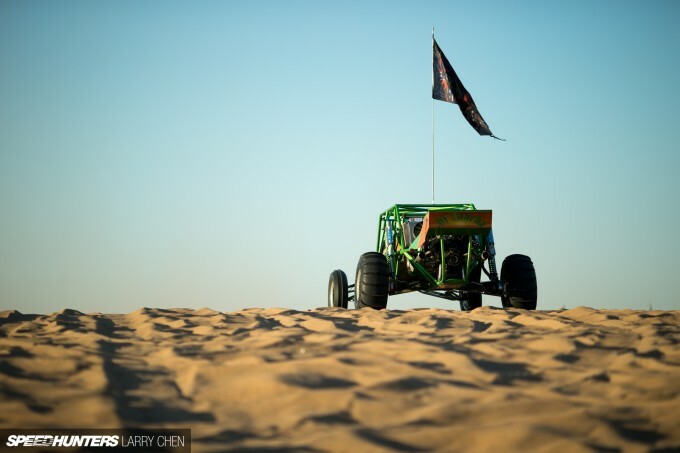 Any vehicle with a driving permit was allowed on the sand. 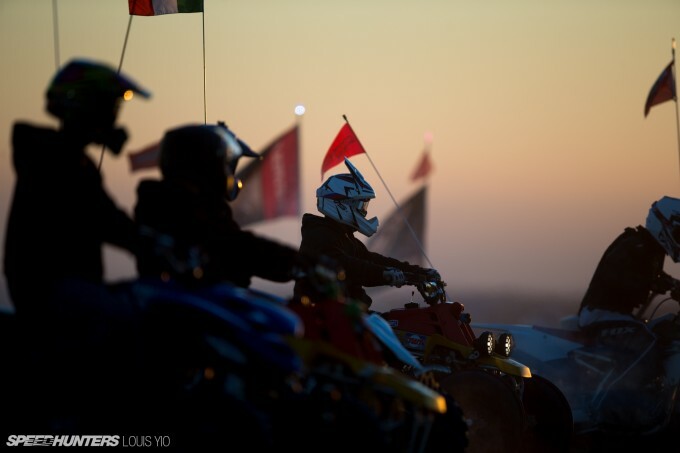 Other than that though, there weren’t specific restrictions, so we soon saw motorbikes running against 1000hp-plus sand rails. 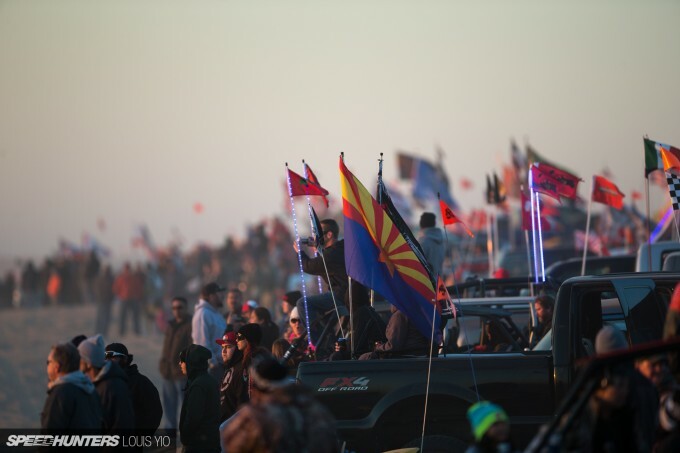 People brought out their families with RVs and camped in the sand dunes for multiple days. In fact, I’m sure some of the people I met had been there since Christmas! 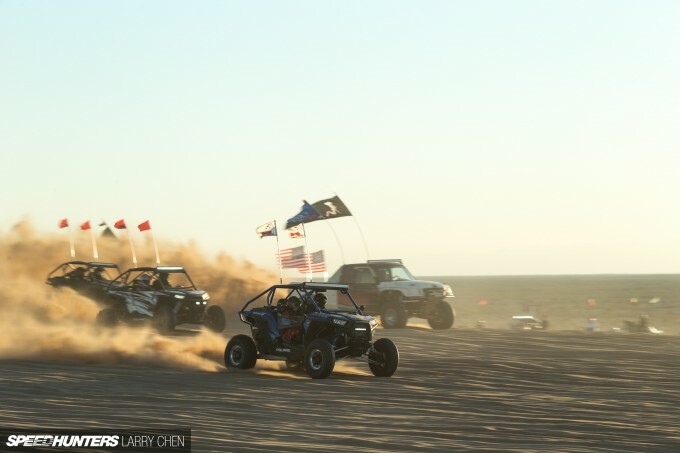 With sand rails that can accommodate up to four people, the sport is lots of fun for the entire family. The sunset made for great images. With hundreds of OHVs running the drags, I was surprised by how many of them were popping wheelies. I’m not joking when I say almost every second or third vehicle went wheels-up. It was almost as if it was a wheelie competition as opposed to a drag race at some points! Some even went as far as halfway down the drag strip before dropping down. 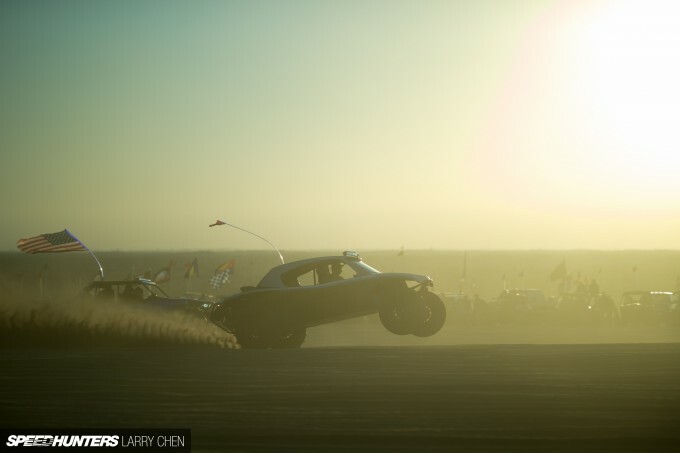 It may be hard to see, but while attempting a wheelie in the image above, the driver managed to get all four tires off the sand. Having never experienced this in my entire life, I was completely blown away by what I was seeing. 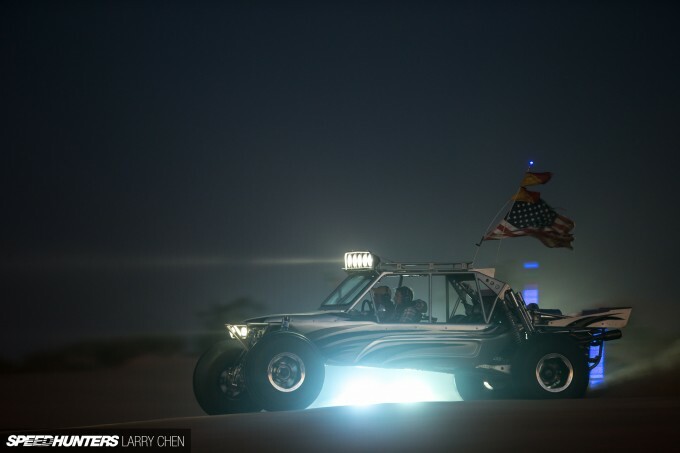 From traditional Polaris UTVs to custom-made sand rails with Lamborghini-style doors, all types of OHVs were running the quarter mile gauntlet. With all the OHVs popping wheelies, safety seemed to be the number one priority. While there, I heard some stories of what can happen when things go wrong. A simple Google search will lead you to a variety of pictures and videos of the bad that can occur when not driving safely in the dunes. 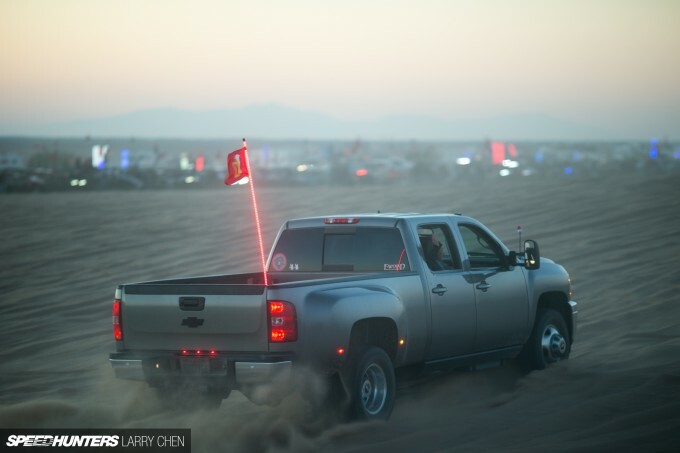 You’ll notice that all the vehicles on the sand have safety flags sticking out of them. They’re used so people know where other vehicle there, as the dips in the dunes can easily obscure a car from view. It’s just another safety measure added to keep the risks as low as possible. 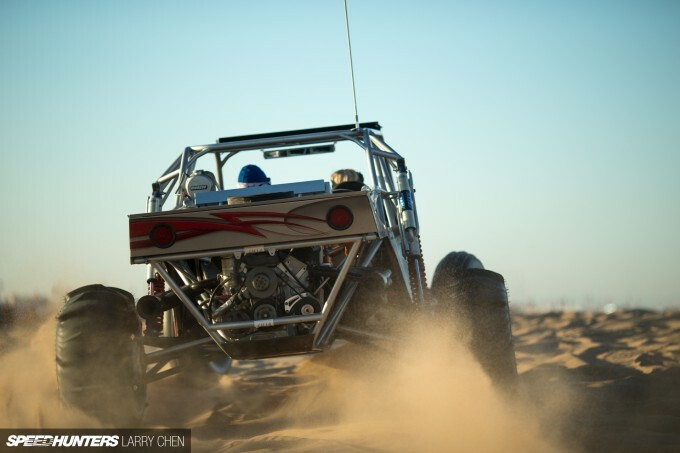 Considering that some of these sand rails are running 800hp-plus supercharged big blocks, it’s pretty important. 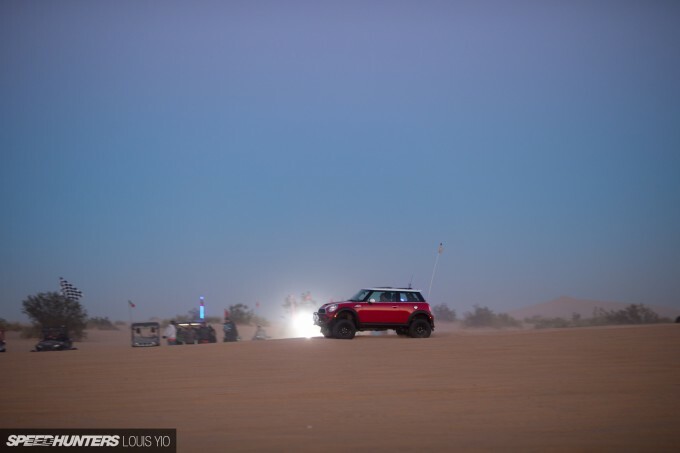 One thing I can safely say about the Imperial Sand Dunes is that the people who attend are some of the nicest people you’ll ever meet. 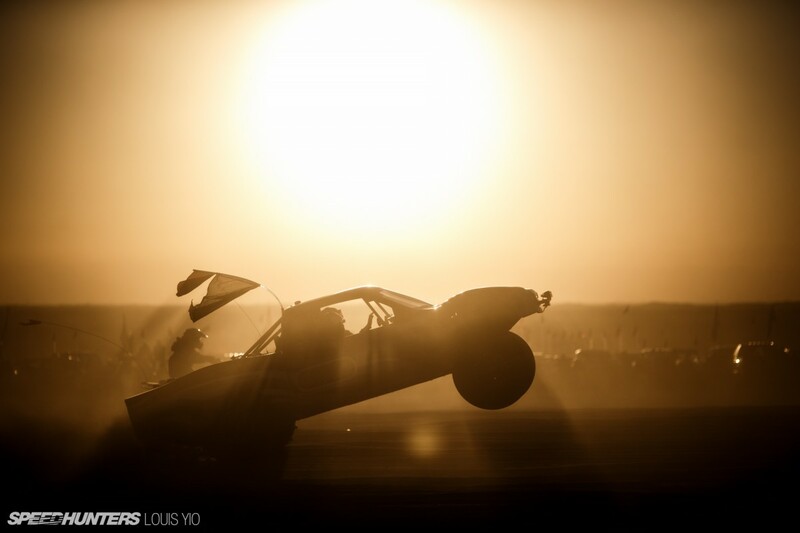 Since the drag racing isn’t an official event, there aren’t many photographers that show up. So when people saw that we were shooting the drags, they offered to do some runs for us, give us some information about the place, and even take us for ride-alongs. 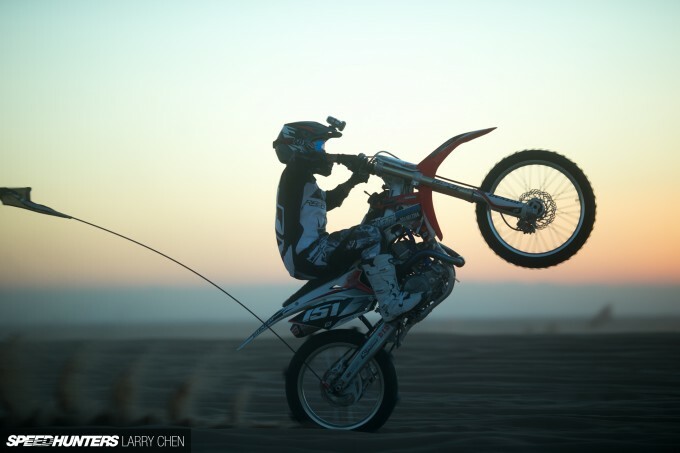 This guy did some wheelies for us on his dirt bike for some cool pictures. At times, people with similar vehicles would line up to run together, which made for some fun racing. 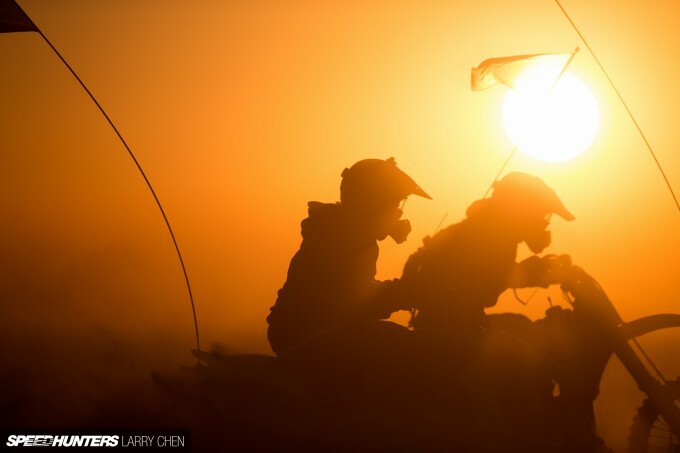 In the picture above, there were around eight or so ATV riders that raced together. Most of the OHVs had paddle tires on, and it looked really funny seeing them bouncing around on the tarmac. But once they hit the sand they flew. Some of the drivers shed weight by losing some passengers so they could get a nice wheelie happening. 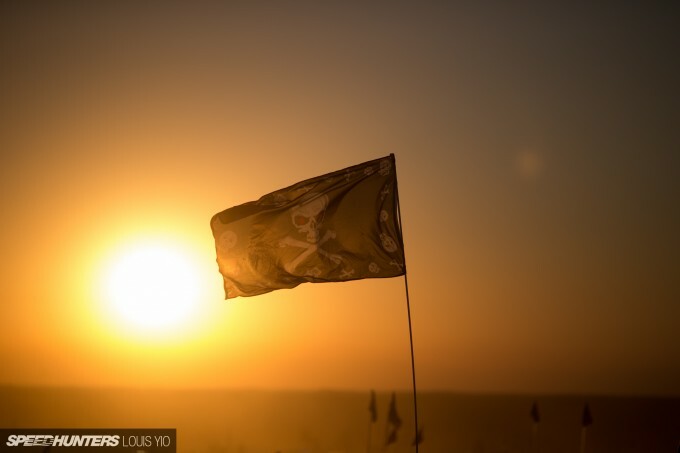 Arrr… there were sand pirates lurking around every dune. 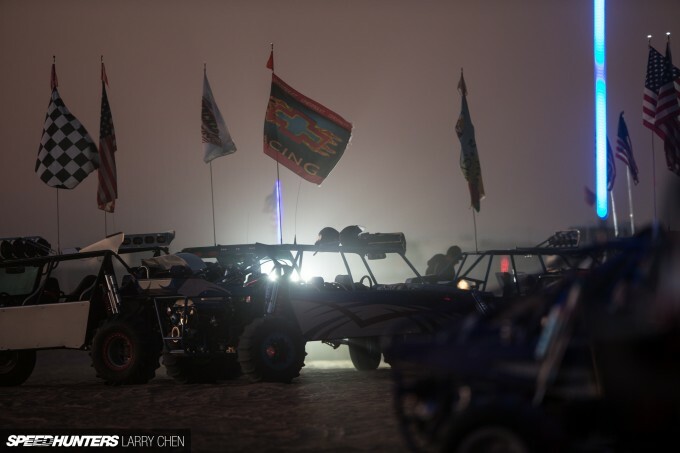 While many people were running their vehicles back and forth, more people lined the strip to simply take in the action and soak up the atmosphere. 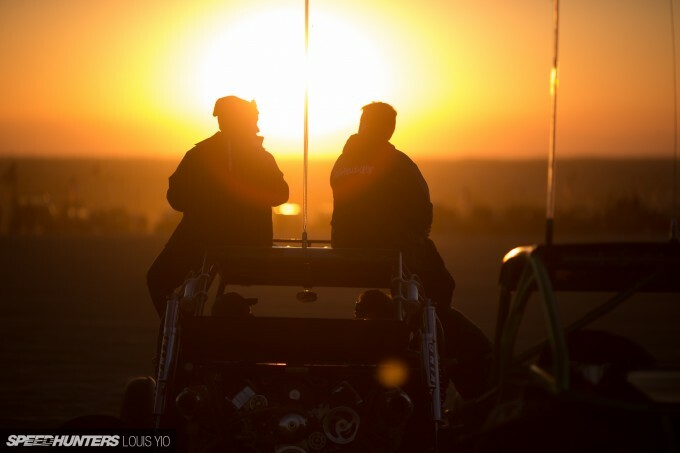 What better way to enjoy the start of a new year than enjoying an ice cold beer with your buddy while watching wheelies at sunset. 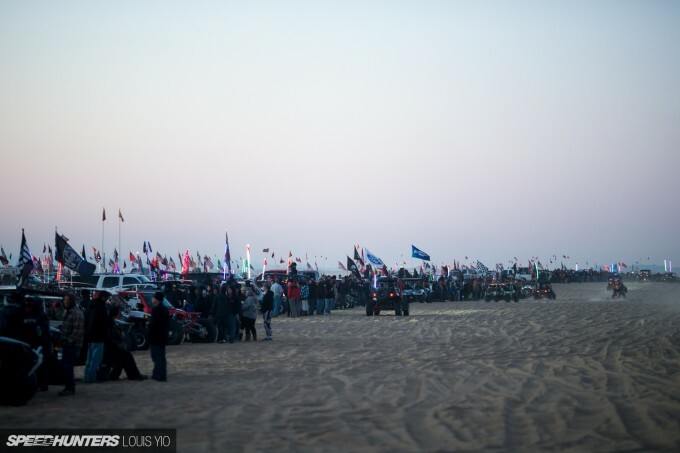 As the sun dipped lower, more people from around the dunes started showing up. It got to the point where vehicles were running every few seconds. A few people even brought out their pickup trucks for a couple of runs. These guys were going flat-out while bouncing up and down. 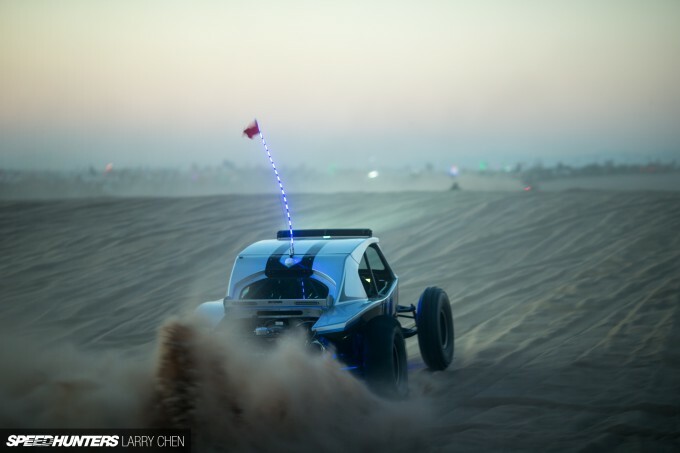 Some of the quicker sand rails were hitting 140mph-plus. We pretty much had free reign to shoot wherever we wanted, which allowed us to get really close to the action. More and more people gathered to watch the night racing. Some groups even had small bonfires to cook food upon. 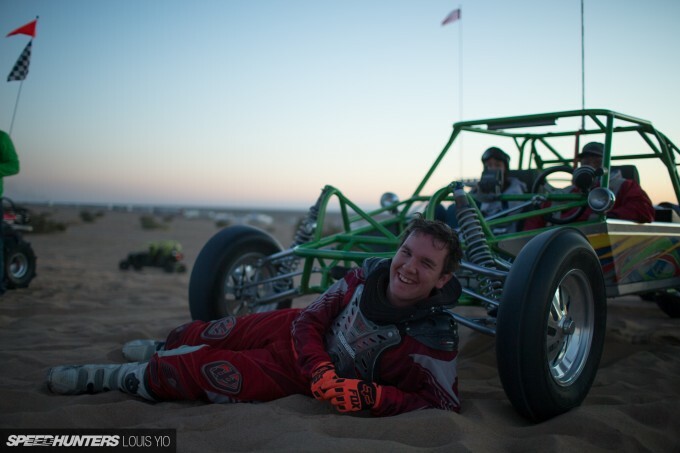 This man was a bit too exhausted after spending the entire day in #MAXIMUMATTACK mode. This MINI caught my eye because it was one of only a few street cars repurposed for the sand. This particular sand rail seemed to be a crowd favorite. 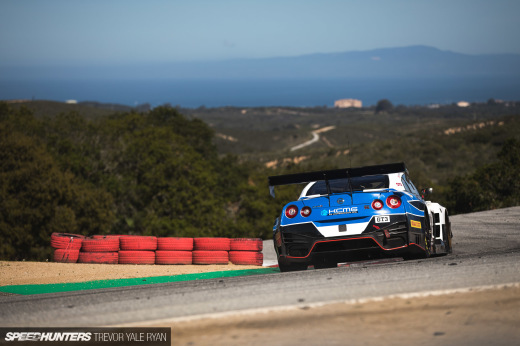 With the insane sounds it was able to make and the aggressive driving style of the pilot, it had many heads turning. 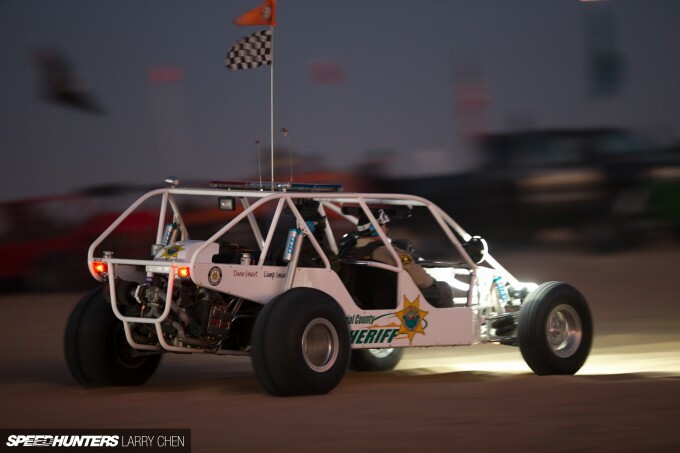 Yes, the local Sheriff’s Office had their own sand rail as well! With the sun set and sand in our shoes, we decided to call it day. 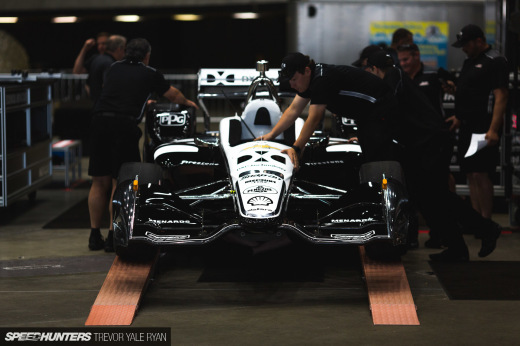 The racing, though, dragged on into the black of night. 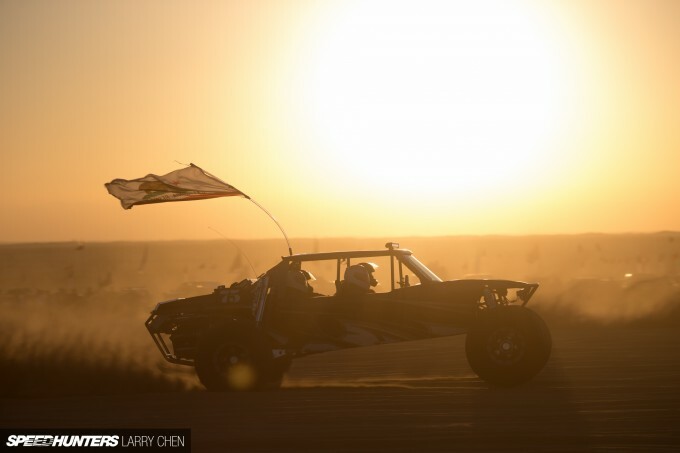 If you are willing to make the drive, visiting the Imperial Sand Dunes just to watch the drag racing is definitely worth the effort. 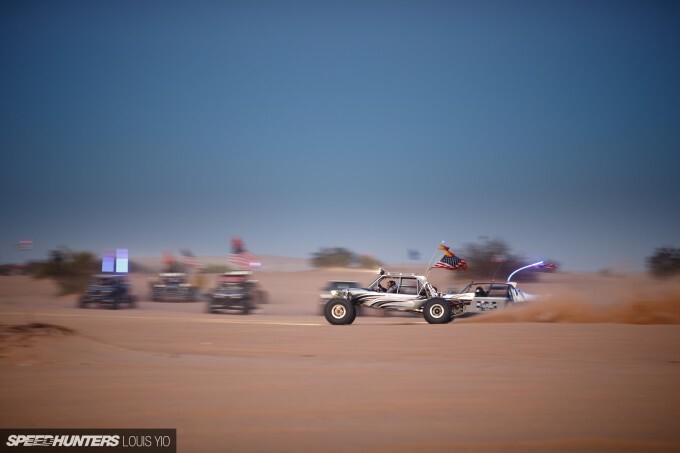 Watching and hearing monster rails pulling wheelies side by side as they kick up huge plumes of sand and accelerate out of view is just one of those things you need to experience first-hand. Until then, check out the video above for a taste! These things are nuts! Must be pretty sketchy driving back towards the crowd, doing wheelies and not being able to see where you're going. More coverage of this! Never heard of it but it looks pretty damn cool. 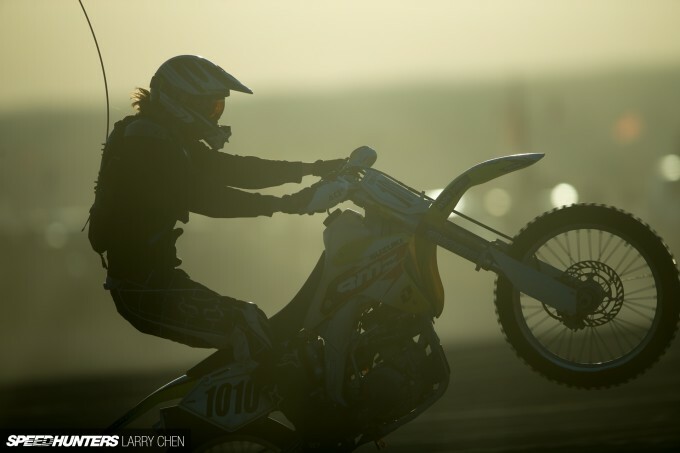 Love them banshee's, screaming 2 strokes. greenroadster That's America for you. I'm sorry, 'Murica. This makes me so happy to see! Derelict Been at Johnson Valley since Monday. 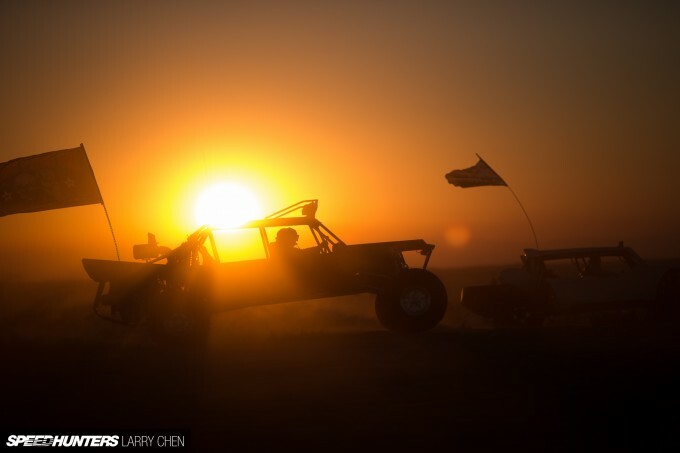 Main KOH race tomorrow is going to be killer. 60k+ people camping out here. This awesome! 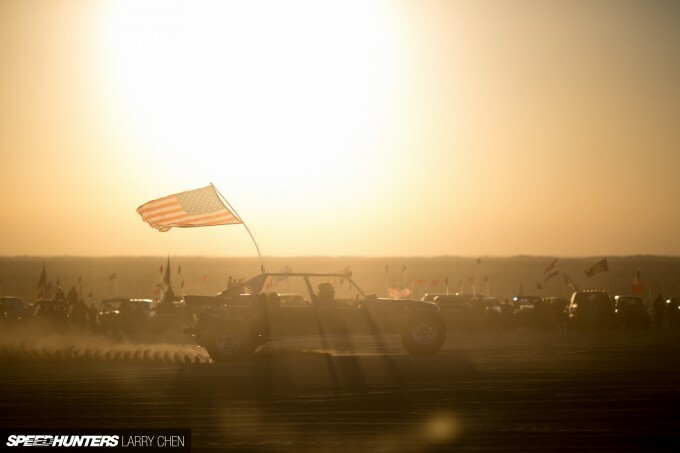 As a kid I spent Thanksgiving and New Years at these Glamis sand dunes. 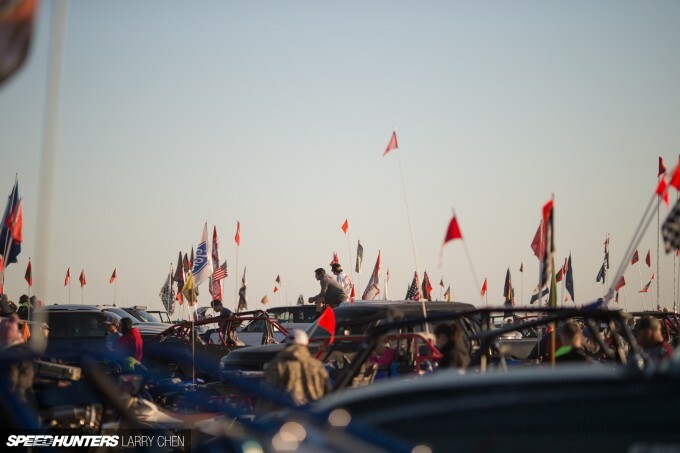 Vendor alley, comp hill, and oldsmobile are also worth the drive out. Some of the best memories were here with the whole family. 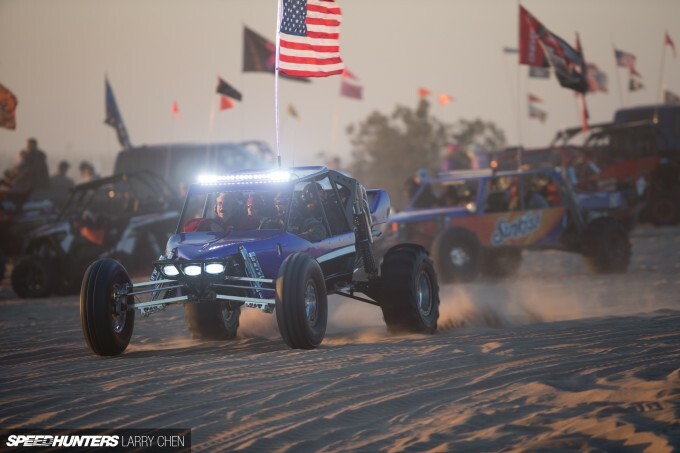 Hi my dad is going to Glamis for Xmas this year he's from the UK and I was wondering if there is an official website for the event as I've had no luck finding one any help you can give me is much appreciated thank you! Dee20 So its been a while but my understanding is that most of the activities happen between the Glamis beach store and competition hill. There is a main road called the sand highway, at least that is what we called it. Its remote camping, so bring a tent, trailer, RV, bus, truck, buggy, dirt bike, quad, razor or whatever you have. You have to bring everything in and take everything out with you. 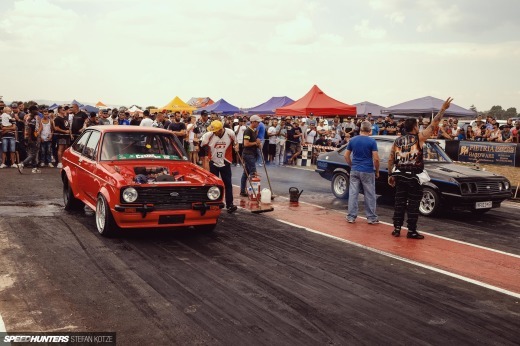 In the afternoon there are drag races and at night people go up and down the the hills. Nothing is official or timed. Be careful. Watch an old crusty demons of dirt video just to get the feel. He's done some research about it and I've talked him into hiring an RV which him and a friend will drive down from Pensacola to Glamis I'm guessing they will have a trailer with their quads on. 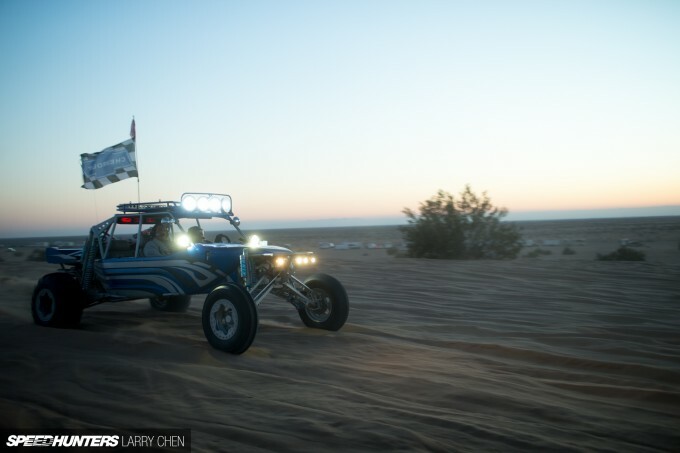 Do you need any kind of permit to drive on the dunes? Or pay an entrance fee to the event? Can you pitch your RV anywhere? What's the cell signal like there? And from what we've gathered there are no shops/gas stations near by so the advice to take everything they're gonna need is brilliant thank you so much for your reply! my dad is so excited to finally tick this off his bucket list! When I went we didn't have cell phones so sorry. There is a town called Brawley and that is the last decent stop. Have fun, go swimming in the canal, light off fireworks, and have fun. Its an amazing place. 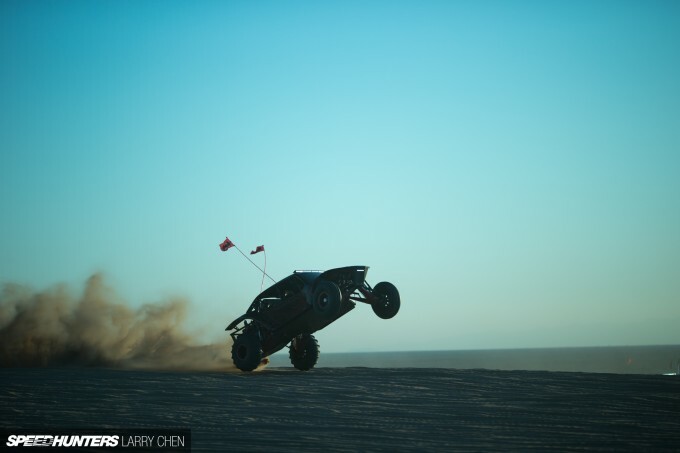 And so is Ocotillo Wells, which is about an hour away from these dunes. I have always preferred Gordon's as a more family spot, but glamis knows how to rock! Love your story bruh, and for the people that have never gone, you must add this to your bucket list!